Help put kids on the path to good oral health with this best-selling brochure! This comprehensive, illustrated booklet was revised to include everything parents need to know to care for children’s teeth up to age 12. 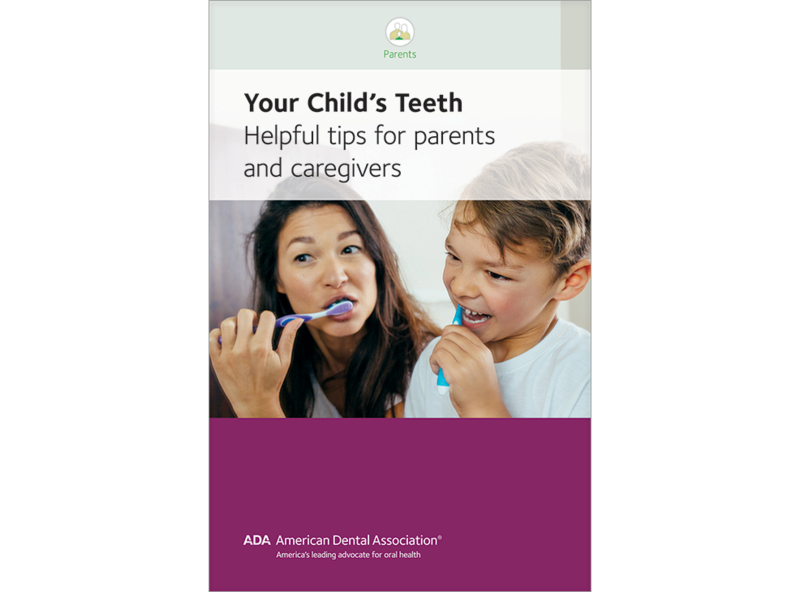 This take-home booklet encourages parents to help their kids establish good dental habits at an early age. Parents of older children can also find information they need to know about sealants, bite development, and injury prevention. By sending your patients home with a copy of “Your Child’s Teeth” from ADA, you’ll arm them with the knowledge they need to take care of their children’s teeth for years to come. Click the “Add to Cart” button to secure your brochures today.